Occasionally we’re asked if there is a trading standards office available for consumer advice after purchasing products or services in Lanzarote. Here’s the process for making a consumer complaint. Local tourist facing businesses such as shops, bars, restaurants and hotels are required to display this notice, where consumers are visually advised in Spanish, English & German that a claim form is available to customers. This form is known as the Hoja de Reclamacion. The responsible person in charge of the establishment is legally required to provide a consumer complaint form on request and explain how to complete it properly. If they refuse you can ask for the police to come and enforce the law. The claim form is used to notify the business that you have a complaint, this is filed with the local authority so that they have evidence of any possible wrong doing and highlights any irregularities for their inspectors to investigate for the protection of consumers. The complaint forms come in different colours, the white copy is for the authority, the consumer’s copy is green / yellow and the companies copy is pink / yellow. The complainant should retain the white and green/yellow together with any evidence such as a receipt, brochure, ticket, invoice etc. The address of the consumer office is normally printed on the reverse of the form, in the case of Lanzarote there is a department situated within the Cabildo de Lanzarote, situated on Avenida Fred Olsen in Lanzarote, which is the building next to the Intercambiador bus station by Playa del Reducto. The office is open Monday to Friday from 09:00 – 13:00. The form should be submitted as soon as possible, preferably in person but if this is not possible, you can send the documentation by certified mail so that you have proof that it was received. Normally just asking for this form can resolve what ever issue you are having, businesses are frightened by customers making official complaints as they may have an inspection visit and subsequent fine imposed. This consumer complaint form will not bring you financial compensation, if you want compensating for any financial loss or injury then you will need to bring a personal action in court. What it will do is notify the shop and local authority of any irregularity to hopefully stop the same situation repeating itself for another consumer and more often than not the business will rectify the problem to stop the complaint at the time the form is requested. The camera and electronics shops in Lanzarote are a regular source of complaints. 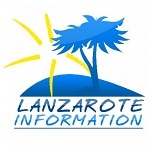 Read more here: Camera and electrical shops in Lanzarote.